You might notice from looking through the Top 100 Free Kindle books list that there are a lot of religious themed books on there. 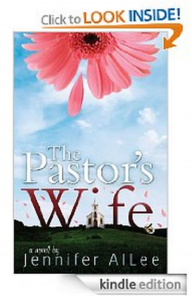 The Pastor’s Wife is one of them, but it takes on a different perspective than the average Christian fiction novel. Maura Sullivan married Nick Shepherd six years ago and he took over the congregation of a small church in Granger, Ohio. Nick gets so sucked into helping the members of his congregation that he neglects his marriage. The rift in Nick and Maura’s marriage grows so wide that Maura goes back to California to work with her father. The story opens when Maura gets a letter from a recently deceased member of the Granger community who gives Maura an old theater in her will. The theater comes with a stipulation though. Without spoiling the plot too much, this stipulation reveals the issues in Maura and Nick’s marriage, and forces them to confront them head on. The Pastor’s Wife is told from a unique perspective because it gives an honest portrayal of how the pastor must balance the needs of his congregation with the needs of his wife and family. Sometimes church members can certainly take up a lot of a pastor’s time and energy. So, The Pastor’s Wife is a sweet, but thought provoking story. I really enjoy these types of books because they give me a break from hectic daily life while teaching me little life lessons. Trust me, I like my fair share of suspense and intense plots, but stories like The Pastor’s Wife have their place as well. One of the other things I liked was how real the characters were. Even the pastor had his own flaws to work out. So, I felt like I could relate to them better that way. This entry was posted in Free Kindle Books and tagged jennifer allee, the pastor's wife by holly. Bookmark the permalink. The premise seems intresting but unfortunately the book is not available for free. Book pricing changes so if you see free book annoucnement – grab it asap.